You always wanted to learn how to dive, but didn’t start the course because you don’t like to get water into your mask, or you don’t like to hold a mouthpiece into your mouth? Certain exercises scare you a little, like for instance removing the mask underwater? Then this brand new IDD course is made for you! We can now offer you the full open water course with a full face mask, or integrated dive mask. The regulator is integrated into the mask, so you don’t need to hold a mouthpiece in our mouth. Equalizing the ears is easier because now you can also use yawning as a method to do so. Swallowing is easier. Breathing in itself is more natural because you can simply breathe through your nose. The Full face mask can not fill up with water, and during the course, you will not need to take the mask off underwater. The only ‘downside’ to this course iIDD Full Face Open Water Divers that after certification you are only allowed to dive with this kind of mask. If you decide you also want to be able to dive with a normal mask and separate regulator you will need to do another, short course to get certified for this as well. Before you do the open water diver course, we advise you to do a Discover Scuba Dive. That way you already have a little ‘taste’ of what diving is all about, and you can see if you like it enough to go on. Did you get excited by all the beauty you saw underwater? Then now it’s time to do the Open Water Diver course! In this course, you learn all skills you need to be able to be underwater in safely. 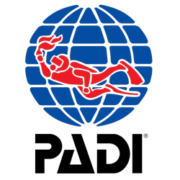 The Open Water Diver course can be planned how you want to. You decide whether you want to do 1 dive a day or 2 dives. Each lesson consists of a theoretical part and a practical part. The lessons start in our open-air classroom at the dive center. We teach you a part of the theory and tell you which exercises we are going to do that day. The exercises will be demonstrated, and we also explain to you the importance of the exercise. After that, we go to the dive site. Together we build up the dive equipment before we enter the water. Underwater we show you the exercises again, after which you are going to do them yourselves. When all the exercises belonging to the lesson of the day are done, we do a little fun diving. After all, that’s the final goal! There’s an exam attached to the Open Water Diver course. All our lessons and dives are done with small groups, so with lots of personal attention. 1 on 1 instruction is also possible. Our lessons are done at different dive sites, depending on weather conditions. This way you see more of the island and get more experienced. It might be for instance that one site has more current then another site, etc., etc. Before you do the open water diver course we advise you to do a Discover Scuba Dive. That way you already have a little ‘taste’ of what diving is all about and you can see if you like it enough to go on. The lessons start in our open-air classroom at the dive centre. We teach you a part of the theory and tell you which exercises we are going to do that day. The exercises will be demonstrated and we also explain to you the importance of the exercise. After that, we go to the dive site. Together we build up the dive equipment before we enter the water. Underwater we show you the exercises again, after which you are going to do them yourselves. When all the exercises belonging to the lesson of the day are done we do a little fun diving. After all, that’s the final goal! All our lessons and dives are done with small groups, so with lots of personal attention. Our lessons are done at different dive sites, depending on weather conditions. This way you see more off the island and get more experienced. It might be for instance that one site has more current than another site, etc. etc. Children who are 10 years old can do the Junior Open Water Diver course. Before the course starts their parents have to fill out and sign a medical statement. Maximum depth for this course is 12 meters for children 10 and 11 years old, 18 meters for children 12 years old. 10 and 11 years old certified Junior Open Water divers can dive with a dive-professional or a certified parent/guardian, 12 years old Junior Open Water divers can dive with a certified adult. Children who do the Junior Open Water course have the same course requirements as adults doing Open Water Diver course. They have to be able to do the same underwater skills and do the same theoretical exam as adults. We know some exam questions are difficult to understand even for adults. That’s why we guide the children doing their exam. We ask the same questions in different words. Mind you, they have to do the exam themselves, answer the questions themselves. All we do is make the questions more understandable without giving the answers for them. We try to do all course dives on a different dive-sites with junior students as well when weather conditions allow us too. Of course, safety is always the priority, but we also make sure that on every dive-site we go the kids can see nice things at their maximum allowed depth. After this course kids who are 10 or 11 years old can become Junior Adventure Diver. They have to do 3 Adventure dives for this. 12-year-olds can do the Junior Advanced Open Water course. 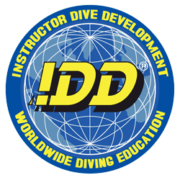 Just like in the adult course the deep dive and navigation dive is mandatory. Besides those, they can choose 3 other Adventure Dives. Maximum depth for Junior Advanced Open Water divers of 12 to 14 years old is 21 meters, when they turn 15 it’s 30 meters.